The Merc with a Mouth takes on Marvel's greatest heroes and vilest villains! Everything you knew about Deadpool's first encounter with Cable was wrong - now get the full story! Can X-Force save history from Deadpool? 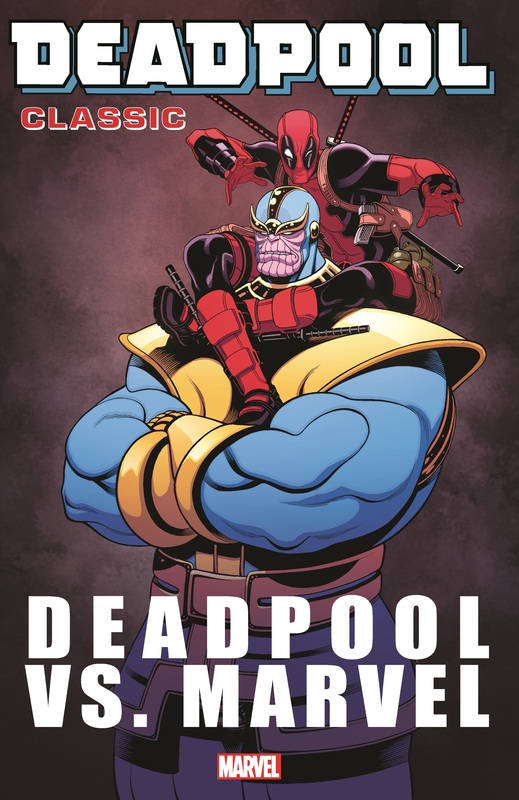 Wade Wilson goes to Infinity and beyond throwing down the gauntlet against the Mad Titan, Thanos! But who will win Death's fair, bony hand? 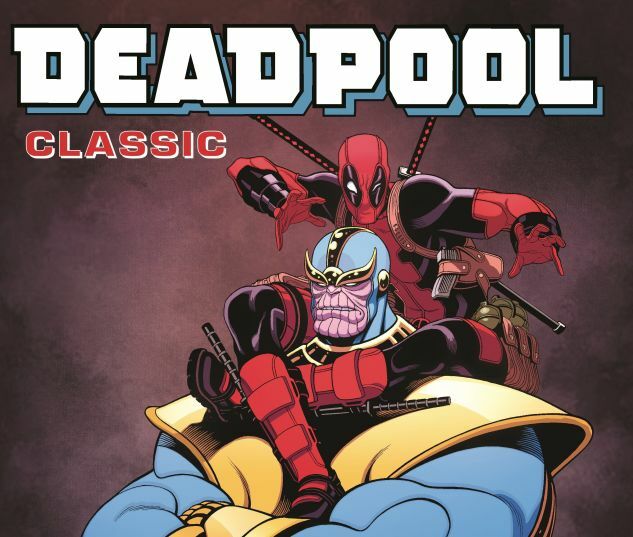 It's the ultimate battle of good-crazy and bad-crazy as Deadpool takes on Carnage - there will be blood! And the regenerating degenerate hangs out with Hawkeye on Halloween - the horror! Plus, Madcap really gets inside Wade's head, and DP helps out his "best bud" Spidey by wearing his webs! Winning friends and influencing people, Deadpool style! Collects Deadpool vs. X-Force #1-4, Deadpool Annual (2013) #1-2, Deadpool vs. Thanos #1-4, Deadpool vs. Carnage #1-4, Hawkeye vs. Deadpool #0-4.